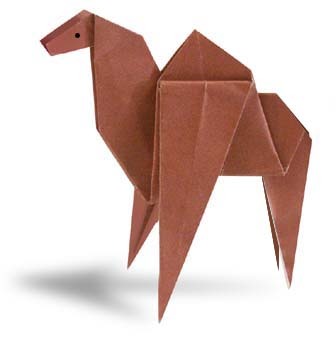 Camel Origami: Camel are known for its distinctive humps in its back. it belong to animal kingdom. Camel is very popular in middle east countries. Camel are useful in transportation especially in places where water is limited. Camel can survive even weeks without drinking water so it is best choice for traveler in desert to use camel as means of transportation. Although camel are useful in travel it is useful also in arts. 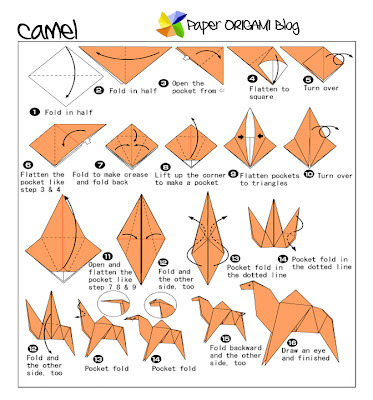 In Origami camel also has its part to be folded. here are some basic folding instruction of Camel Origami.